Having now finally shaken off the prolonged wintery weather that battered Scotland right through into April this year, we are beginning to enjoy increased warmth and sunshine across the country. But as people venture out to enjoy the summer, the route to their destination is often no less of an obstacle course than when the streets were buried with snow and ice. Our roads are again now laden with potholes. 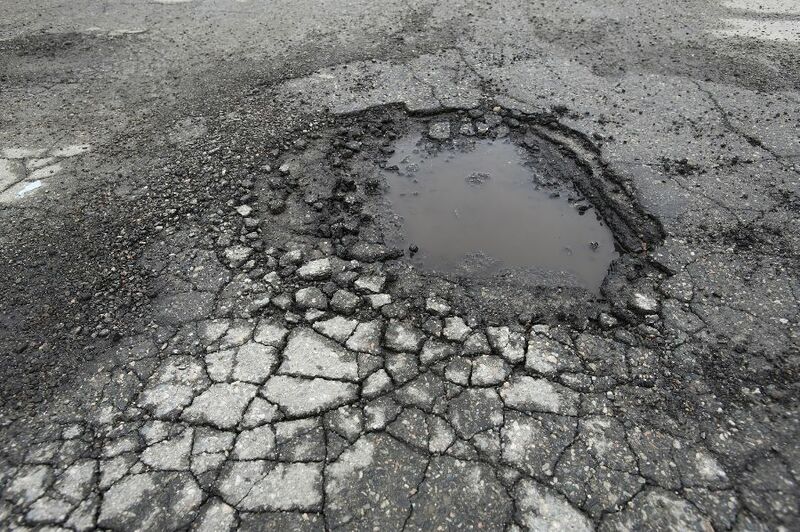 As the number of potholes and other road defects increase, so too does the risk of injury to road users and pedestrians. We have seen a growing number of clients who have sustained injury as a result of their vehicle/bicycle striking potholes or from them having tripped over defects on roads and pavements. This risk of injury extends beyond minor whiplash and grazed palms to fatal injuries. Potholes and other defects on public roads and paths, accordingly, represent a serious problem which must be addressed. The law can only go so far in providing redress to those who have suffered loss as a result of the road conditions. With the majority of roads in Scotland being owned and operated by local councils, the burden upon them is vast and the law acknowledges that. Therefore, the burden of establishing civil liability against a local authority is a difficult one to overcome. It is not enough to simply show that a pothole has developed on a council operated road and that an injury has occurred as a result of someone having driven/cycled/tripped over that pothole. It must be shown that the authority responsible for repairing and maintaining the road were negligent in failing to identify and repair that pothole. Local authorities are expected to abide by a particular code of practice relating to inspection and maintenance and if they comply with that then it will often be very difficult to establish liability on their part. In terms of the inspection regime that is expected of a local authority, there are different categories of road which require different frequencies of inspection on a priority level basis. A-roads and other main traffic routes are expected to be inspected more frequently. With most other traffic routes, it is often deemed reasonable to have a period of around 12 months or more between inspections. As a result, if an inspection of a particular road took place on 1 July 2017, with no significant defect being identified, and a pothole subsequently developed causing an accident occurring on 30 June 2018, the local authority may well be considered to have discharged their duty and the injured individual may have no means of recovering compensation. Similarly, with the nature of the defect itself, its size, position and likelihood of causing injury are all factors which are to be taken into account by a local authority when categorising its priority in terms of having it repaired. For example, a deep pothole or a defect in a cycle lane is likely to merit a quicker response than a smaller pothole on a country road. In any event, it is very rare that a local authority will be expected to repair a defect the very day that it comes to light. Quite often, effecting repairs within a number of weeks after having identified a defect will be considered to have been an appropriate response. Accordingly, in the above example, even if a further inspection had taken place on 20 June 2018 identifying a minor defect, then failure to have repaired it by 30 June may still not be sufficient for the council to be considered to have been negligent and for civil liability to attach. When observing the condition of certain roads today, all of this will undoubtedly lead to frustration among road users. Importantly, the system makes it difficult for those who have sustained injury as a result of an accident involving a road defect to claim any compensation for their injuries. So what more can be done? An increase in Government spending on road maintenance may be one solution but another is perhaps simpler and less political: We, as the public, can assist in ensuring that any road defects are properly reported when identified. If a pothole on that particular road is reported to them, they have a duty to investigate and repair within a reasonable time. Quite often we will pass by a pothole or a wobbly paving slab and think nothing further than that we’re glad we managed to avoid it. But should we be doing more? The answer is emphatically yes. Reporting a defect alerts the council to the problem. It engages them and requires them to investigate and, where appropriate, repair the defect within a reasonable period of time. Reporting a defect will hopefully speed up the time it takes for the defect to be repaired. In the event that it is not repaired within a reasonable time then any person who sustains injury as a result of that defect is put in a better position in terms of claiming compensation for their injuries. A record of the defect having been reported is created which can be relied upon by the injured party to demonstrate that the local authority had knowledge of the defect and that they ought to have acted upon this knowledge prior to the accident. Without the local authority having been notified, they may have had no knowledge of the defect at all and the injured party’s claim may ultimately fail as a result. Reporting a defect is not difficult or time consuming. It can be done by writing to or telephoning the relevant department of the local authority directly. Most councils now also operate methods of reporting, quickly and easily, online. Where someone does sustain injury as a result of a road defect, and wishes to be compensated, then it is important that they obtain photographs/measurements of the defect in question, where appropriate, as soon as possible following the accident. They should seek to ingather any evidence that they can to establish the period of time that defect has been in place, whether by speaking to locals or otherwise. It is important that these things are done in order to determine whether or not the council have fallen short of what is expected of them in law, and this is fundamental in establishing liability in any claim for compensation. Allan McDougall Solicitors recently settled an action on behalf of a female client who was cycling along a street in Glasgow where she lived. As she turned into her street, her front tyre struck a pothole causing her to be thrown from her bicycle. As a result, she sustained a fracture to her wrist and an action was raised against East Dunbartonshire Council. There were difficulties with the claim as there were no records of any previous complaints. However, we were able to point to the council’s failure to adhere to the appropriate inspection and maintenance regime in successfully achieving settlement at £12,000. We recently settled an action on behalf of a client who was walking on a footway in Glasgow city centre. She tripped on a cracked piece of concrete and fell to the ground. As a result she sustained a fracture to a bone in her right arm. An action was raised against Glasgow City Council. There were also difficulties with the claim as there were no records of any complaints. However, thankfully we were able to point to failings with the inspections that had taken place shortly before the accident. The claim was, ultimately, successful and settled for £10,000 shortly before it was due to come to Proof.